By law, the policies and regulations of DADT no longer are the policies and regulations of the DoD. As such, CSC chaplains are expected to be able to work with, work under the leadership of and be able to provide supervision to all chaplains. 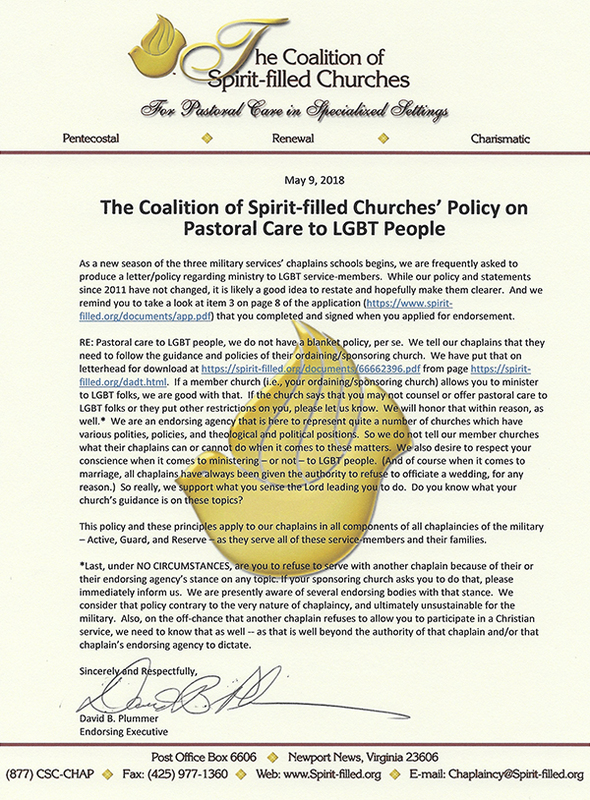 And all CSC chaplains are expected to work with and minister to all people of all faiths or no faith —and to all personnel (and their families) regardless of sexual orientation or identity. If as a military chaplain one cannot do so, one needs to seriously consider and pray if the time has come to separate from the military. 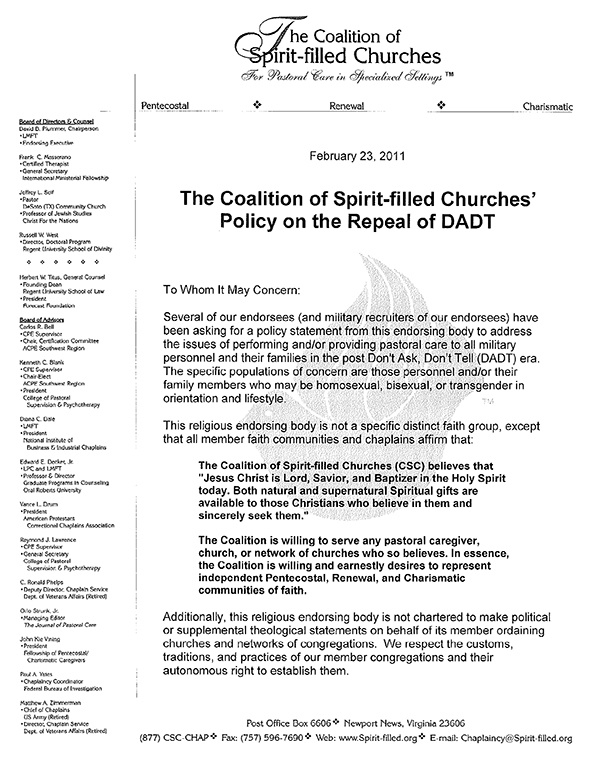 This is not to say that a CSC chaplain has to endorse the lifestyles or beliefs of those to whom they minister or with whom they serve. Repeal of "Don’t Ask, Don’t Tell"